Some two billion people worldwide eat insects as a regular part of their diet. 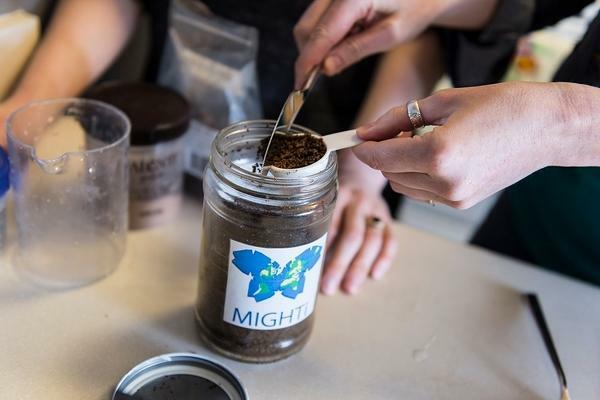 Based at the University of Wisconsin, MIGHTi works to look for ways insects could play a role in sustainable agriculture. 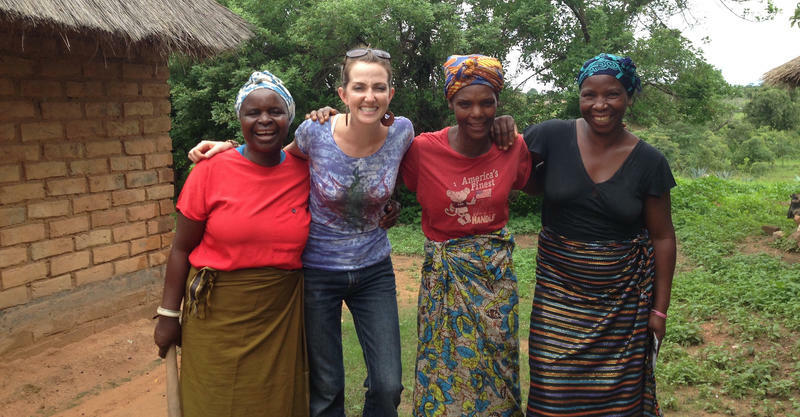 Valerie Stull, co-founder of MIGHTi, with members of her research team. Valerie Stull, co-founder of MIGHTi, speaks with Lake Effect's Mitch Teich. 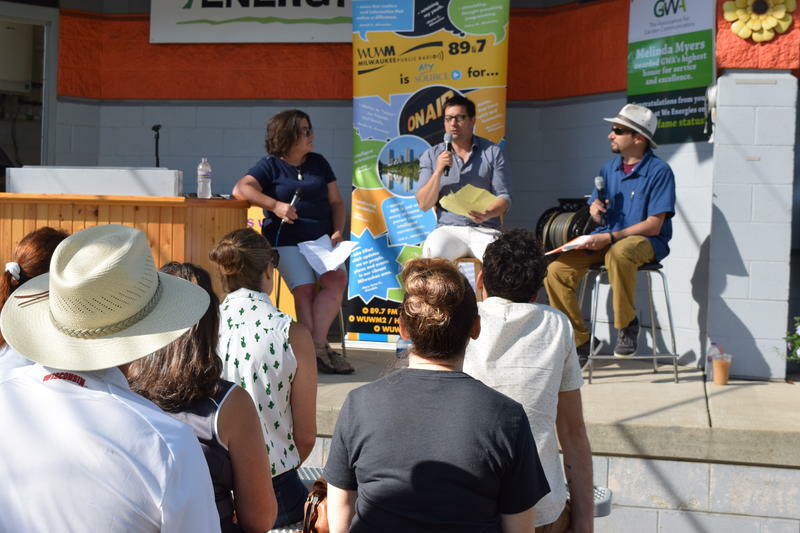 Although the idea of cricket nachos might sound repulsive to many fairgoers, the shock value was served up with a side order of science. As the fair's menu described it: "Cricket nachos have all the flavor of regular nachos but are high in protein and gluten free! Crickets are a sustainable protein that require less water to grow, providing an eco-friendly way of eating." University of Wisconsin-Madison doctoral student Valerie Stull didn't make it to the fairgrounds in West Allis to try the cricket nachos, but she's eaten crickets - and other insects - prepared in a myriad of ways. And she believes the world would benefit if the rest of us would open our minds to the nutritional value of entomophagy - the practice of eating insects. Stull is the cofounder, with Rachel Bergmans, of MIGHTi - the Mission to Improve Global Health Through Insects. "Agriculture today is pressured on all sides," Stull explains. "In food production, we're facing challenges with a changing climate and population growth. At the same time, more people are entering the middle class and have a shifting preference for higher-input foods, like meat and dairy products." That, Stull says, puts a strain on resources, especially in places where they're already scarce. "So I think that insects are an underexplored and under-utilized resource that we could put a lot of effort into, the way we have with other domesticated animals and plants we use for food." And Stull echoes the State Fair menu, noting that insect farming is environmentally sustainable. "[Insects] require less land, feed and water to survive and thrive." At this point, if you're imagining tiny barns with tiny pastures outside, don't feel guilty. Stull refers to farmed insects as "mini-livestock." And the farming aspect is important, she says. "Wild harvesting of anything can be problematic," she says. "We've seen in parts of southern Africa that people are cutting down trees to access to particular caterpillars that are a delicacy, for example." That's unsustainable, she asserts. "Also, you can damage an ecosystem if you completely remove a specific insect for human consumption that should be also a food for other animals in that ecosystem." 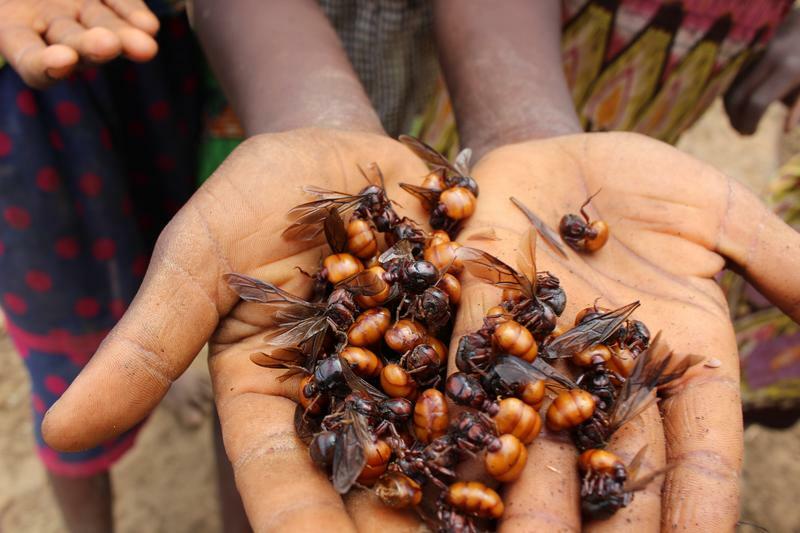 So many of MIGHTi's projects, in countries such as Zambia, examine the feasibility of large-scale and smaller insect farms. Still, she concedes that there is another major fly in the ointment, as it were. Despite the fact that some two billion people in more than 100 countries include insects in their diet, there are major cultural hurdles to eating insects in places like the United States and Western Europe. But that's an issue that Stull believes can be overcome, so it doesn't bug her too much. 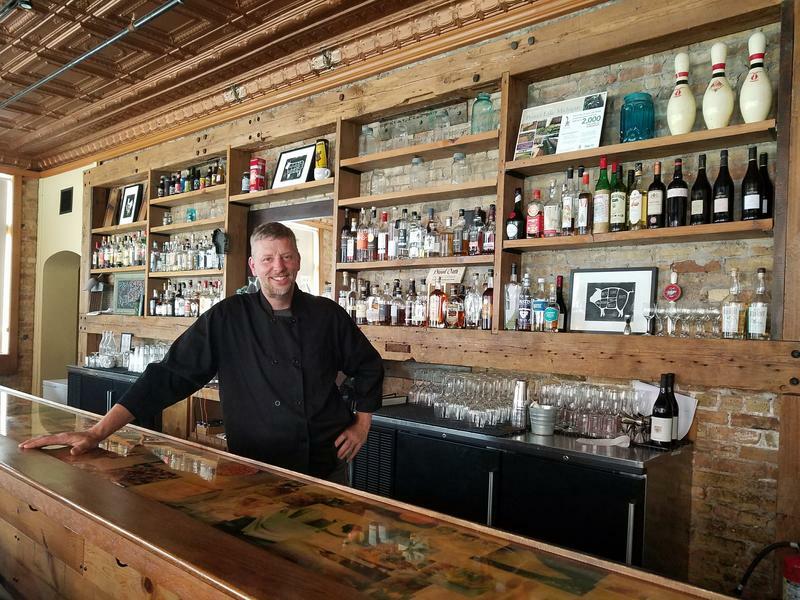 "I actually think that over time, our culinary choices can change," Stull says. "If you think about sushi 25 or 30 years ago, it was pretty much taboo - no one was eating sushi in the United States. And now it's everywhere. You can get sushi at a gas station." One issue that hasn't been resolved? How insects fit in the carnivore/vegetarian paradigm. Stull herself is a vegetarian - for ecological and ethical reasons. But she says she has no qualms about eating insects. Other vegetarians and vegans believe otherwise. Stull says people in countries where entomophagy is common don't think of themselves as general insectovores - rather, they are specific about the insects they eat. For her part, Stull's travels to Africa have led her to eat caterpillars, termites, and even flying ants. She's a particular fan of the flying ants. "In Zambia, there are these large flying ants that - when they're just pan-fried - they taste just like potato chips," she says. "You don't even add oil, because they're quite oily, these ants. And they're delicious."